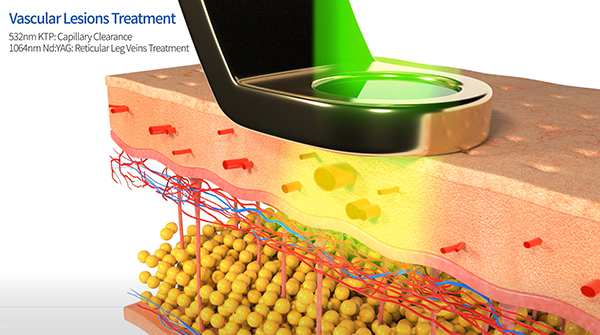 V-Laser is the Long Pulse Nd:YAG laser system offers 1064nm&532nm wavelengths. It is effective in treating various medical indications such as melasma, freckles, hyperpigmentation, or other complex skin problems. V-laser consists of high quality components and excellent features for long durability.